So, you laid it on the table during this MBA admissions cycle. Your GMAT score and undergrad GPA were in range, you have a solid work history, strong extras, clear goals AND don’t know of any reason that any of your recommendations would have gone sour because you’ve crushed it at work to boot. I mean damn, let’s just say it–you’re stuff is on point. …Yet, you ended this last round of admissions with results that were less than desirable; in fact, you already know that you’re going to take another stab at it next admissions cycle. While most top schools only accept between about 10% – 30% of applicants, somewhere between 70% – 80% are said to be qualified. That latter group includes you: the qualified applicant who it just didn’t work out for this go ’round. Some folks just have a more difficult battle to fight in selling their story vs. applicants with similar stats: applicants from over represented demographic groups, recent grads with little work experience, senior citizens (over 32 years of age), folks who’ve taken nontraditional career paths, et al. Perhaps you fit in with this group (I did). Outside of the two niches above, the majority of qualified applicants who don’t get in were out-positioned and out-pitched by their competition. Most people who have very successsful admission cycles have gotten lots of help–whether from a GMAT class (which a LOT of people with 700+ GMATs have taken and won’t tell you), an admissions consultant (same thing!) or simply friends whove been successful at this deal in the past (I’m in this group as well). Perhaps you’re someone who’s qualified that just didn’t get any (good) help in positioning your brand. Full disclosure, that could have EASILY been my story. There is simply NO WAY that I would be headed to Wharton with previous options on MIT and Booth without input from friends like A.P. (Kellogg), S.B. (Stanford), J.J. (Sloan) and Cheetarah1980 (Booth). While I know what to do, say and how to do it and say it now, I was quite green when I started. I probably would have screwed this up royally had I gone it alone; actually, I’m sure of it. TRUTH #1: All of your dream schools have a few new admits who tried more than once. You have folks like the blogger Unclear Admit who got the nod from two well-ranked MBA programs this year after a disappointing shut out on a previous try. What did he and others like him change? Well, they improved their pitch. TRUTH #2: There are people at all of your dream schools right now–from your applicant pool–with similar (or worse) stats, education and work pedigree; but they had a better pitch for what those schools were looking for from your demographic this year. Regardless of how they get to that point (with or without help), tons of qualified applicants submit to the top programs each year; and regardless of how many qualified applications they look at, admissions committees (“adcoms”) MUST draw the line somewhere. Sometimes, people like you and me end up on the unfavorable side of that line. While I hold no magic wand for admission, my advice has helped a few applicants (and re-applicants) work out some kinks in their presentation; and they’ve gotten some great admissions outcomes this year. If you’re someone who didn’t get the results that you wanted this year and you KNOW you have 100% of the raw material that top schools claim they look for maybe I can help you, too. Perhaps we could work together to formulate your “come back strategy” for next year’s admissions cycle. It’s certainly worth a try. Either way, I wish you the best of luck in your efforts. Happy to hear that you are willing to help. 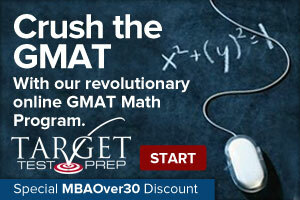 Count me in…would be hearing from me once i am through with the GMAT. Hi need your help here. Also have some thoughts on your data mine analysis. how can I contact you? thanks! Sure Nancy, just go to the top of the page to the menu and click on the “get a free mba profile analysis” link. That’ll put us is contact. I, and I think, most of us respect you, not because you are going to go to Wharton but because you are ready to help us, without even knowing who we are. Here is saluting your spirit! You are an inspiration. I remember, around September last year, when I first visited your blog, how doubtful you were of you making into top schools and you had listed all top 10 schools on the top of this page. Later, you took off the names of bottom five schools from your list. Its funny how success impacts one’s confidence. A little while ago, you weren’t sure and look at yourself now, trying to help others get there. I wish I had some success in the process. My failure has rocked my confidence. Yes I failed, but extremely happy for you. You deserved it…..
Gaurav, definitely send me an email. You are right in that much of this is a mind game; more than that, however, it is a marketing and positioning game. Have you filled out a free profile review form? Let’s talk about what you have going for you and how you might tweak your strategy for reapplication. 🙂 . I look forward to speaking soon. hi–I’m interested, but I don’t see a “submit” button or anything like at the bottom of the page. After I fill out your form, can you tell me how to get it to you? Hey there Ward; so sorry about that submit glitched. I’ve fixed it. 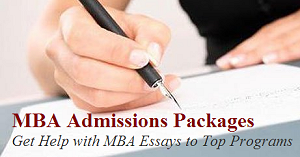 If you go to https://mbaover30.com/mbaover30-free-profile-review-for-top-mba-admissions/ and submit, I’ll get in contact with you personally via the email that you use in the form. hello! is it ok if we correspond through email in private? because apart from our age(30’s), my questions are not related to full time MBA program. thanks! Sure Pat. Just fill out the profile analysis form (2nd link, top left of page) and you’ll get access to me that way. i’m sorry. i don’t follow. which link? It’s the link that says “Get a Free MBA Profile Analysis” at the very top of this page to the left. I just want to say: listen to Mr. MBA Over 30. Being slighty over 30 myself, I also applied this year, but took a different strategy. 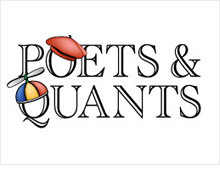 Which was, to listen to the occassional voice out there (like admissions blogs from HBS and Ross) that say “don’t let consultants change the voice in your essays, and don’t get too wrapped up in the whole MBA-acceptance industry. Just be yourself!” Maybe that’s good advice for some people, but if you have an unconventional background or are otherwise a bit of an outsider to the MBA world, it may be shooting yourself in the foot. Long story short, while I was desperately planning various waitlist strategies and planning what to do if not accepted into any of my target programs, MBA Over 30 was hobnobbing with professors and appears to know his whole class already. I finally got in a good program off the waitlist, probably due to a lot of luck in making contacts with illustrious alums that could put in a good word for me (which is only an option at some programs – lucky for me it was acceptable at some of my top choices). But if you’re going to make the investment in an MBA program, you’re definitely better off investing in very high quality advice. It’ll get you off to a much better start than I got. Thanks Joey and congratulations on your acceptance. You made it. What applicants need to understand about admissions departments in general is that they are much like credit agencies and banks. While they tout very high ideals (and rightfully so), their job is actually much easier if they can easily blow off thousands of candidates by virtue of red flags that show up in their profile. I can’t blame them and would have the same perspective were I in their shoes. This is, I wasn’t in their shoes, I was in yours. And what I know to be true is that for a lot of applicants, your “red flags” say more about your ignorance on how this game works than their quality as an applicant. Meanwhile, candidates from better connected, more privileged networks share this information freely and purchase expensive consulting help as needed. They simply know the game. If I had not been helped by people who knew what they were doing, I would not be going to Wharton; and I would not have gotten into MIT and Chicago–certainly not with any scholarships. When I got help from people who knew this game, my stats actually became the lowest point in my profile. I was able to lean heavily on my impact in my career and in my community and demonstrate alignment between my past my program(s) of choice and my goals. Where I agree with the admissions officers is that I am against packaging an applicant to the point where the package is completely divergent from who they really are; that is dishonest. What I am all for, however, is people being shown how to best present the truth about them as an applicant. That is what levels the playing field; otherwise, only people who’ve worked at MBB and the like or who have been world class athletes would get into the most selective schools. Everyone else would be weeded out for asking to “please pass the jelly” when the adcoms were looking for people who simply know to ask for Polaner All Fruit instead. Definitely agree. I’m the type of person who likes figuring things out for himself. MBA applications aren’t really the place for that, obviously. You don’t get too many trials for your trial and error strategy. I don’t think I had any big red flags, but it’s competitive out there, and I probably left some intriguing possibilities on the table that a consultant would have helped me better take advantage of and at least get in first round, if nothing else (wouldn’t have minded a scholarship too!). 🙂 . Well, you are right in that the “red flags” that I refer to are probably less the issue than omission and not properly highlighting things that need to be, or showing them in the proper light. Awesome. Best of luck this year and I will get with everyone who has applied for the giveaway early next week.